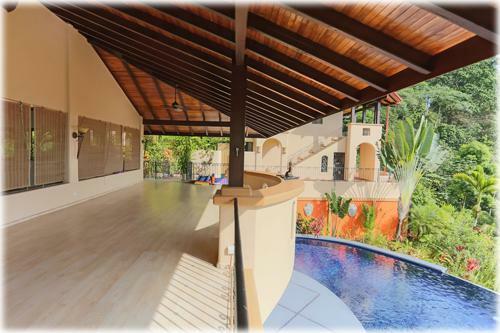 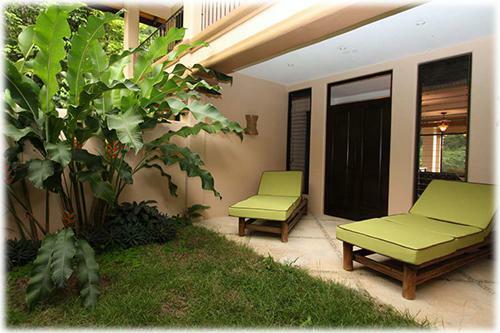 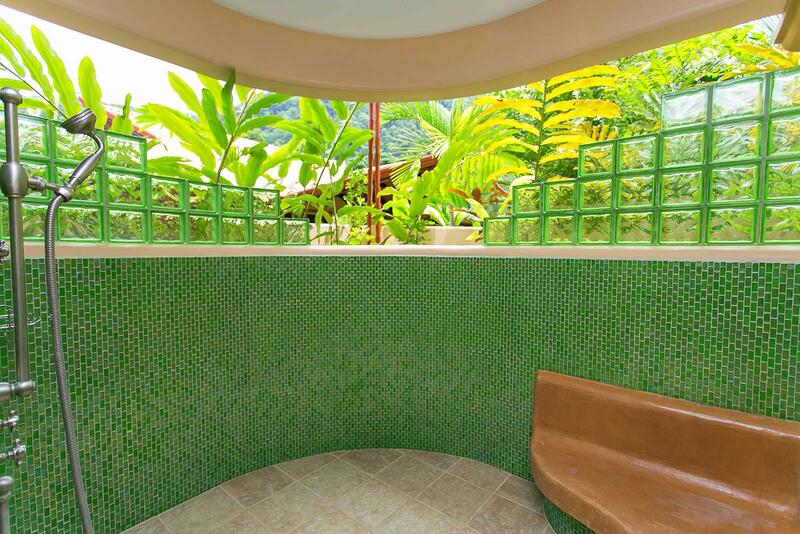 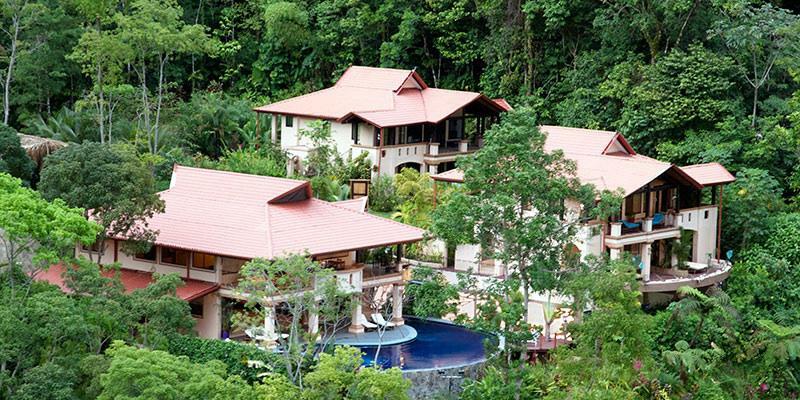 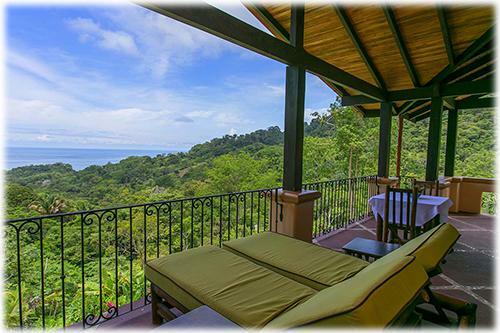 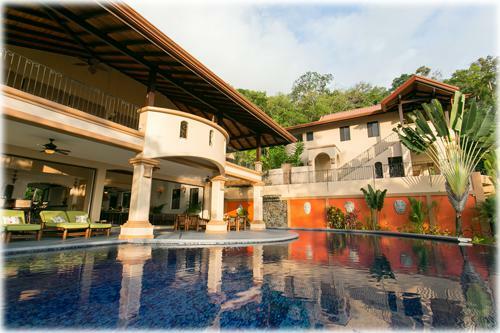 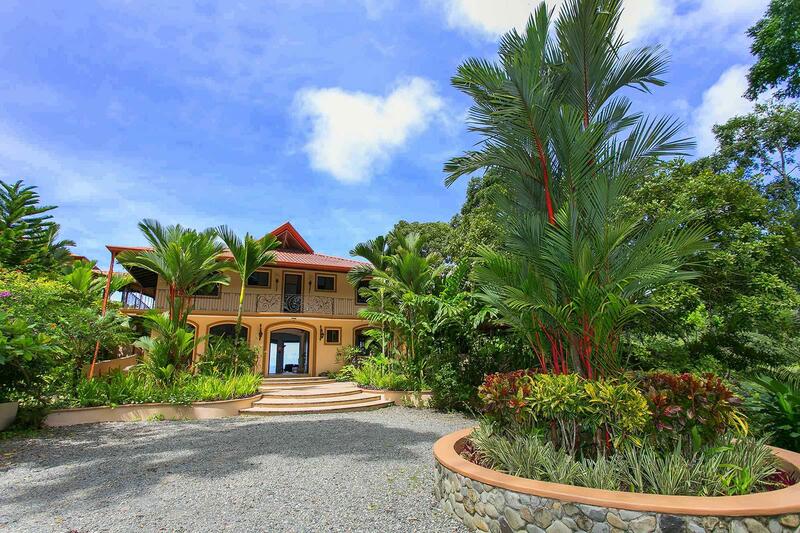 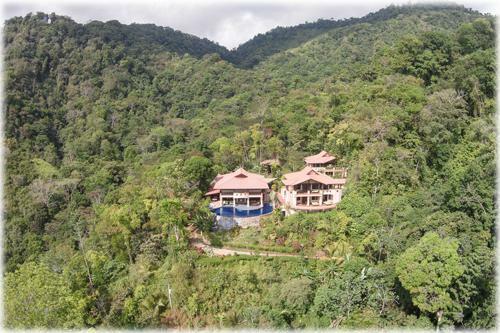 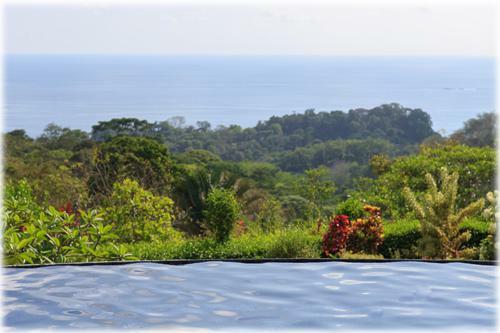 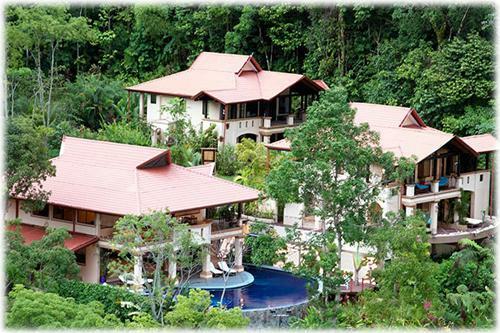 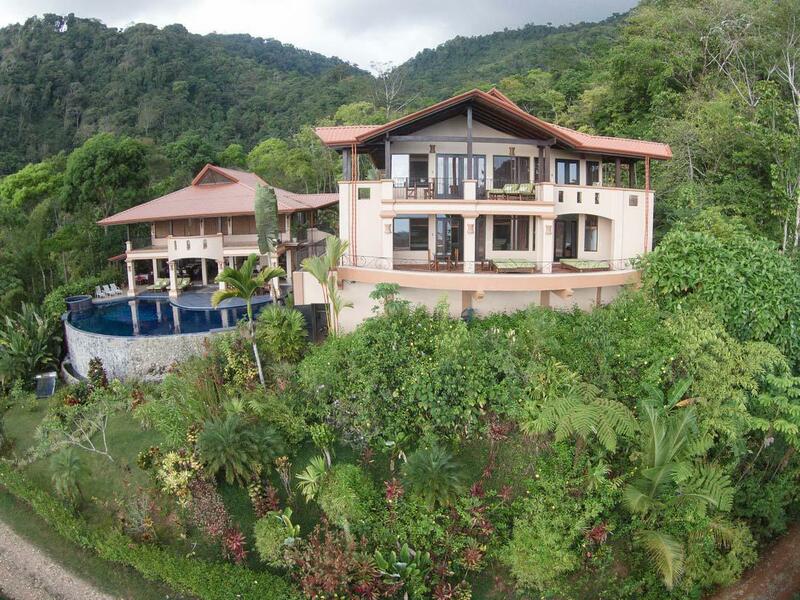 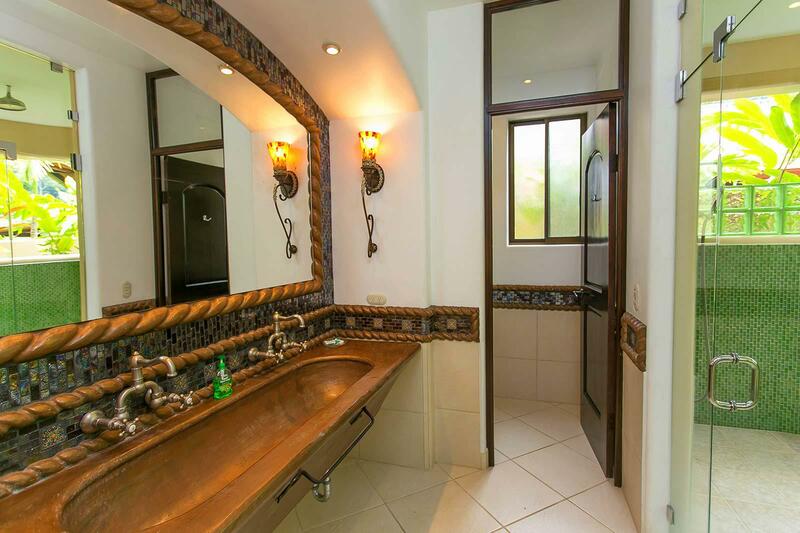 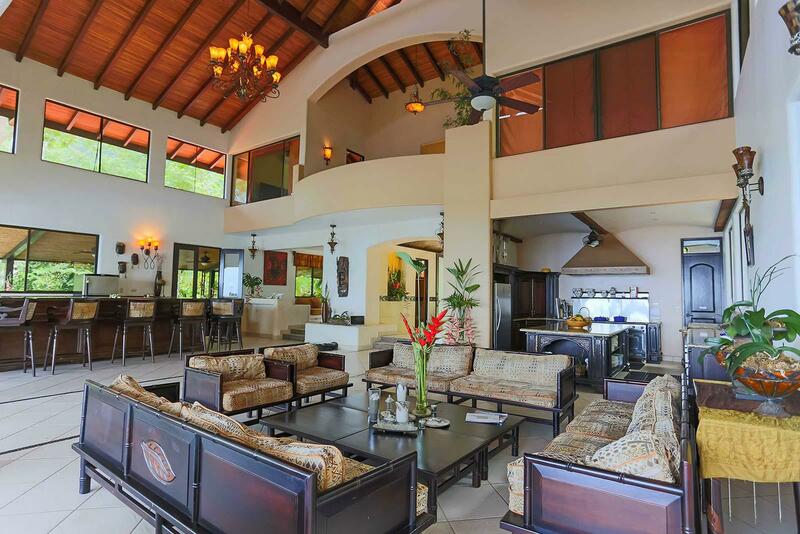 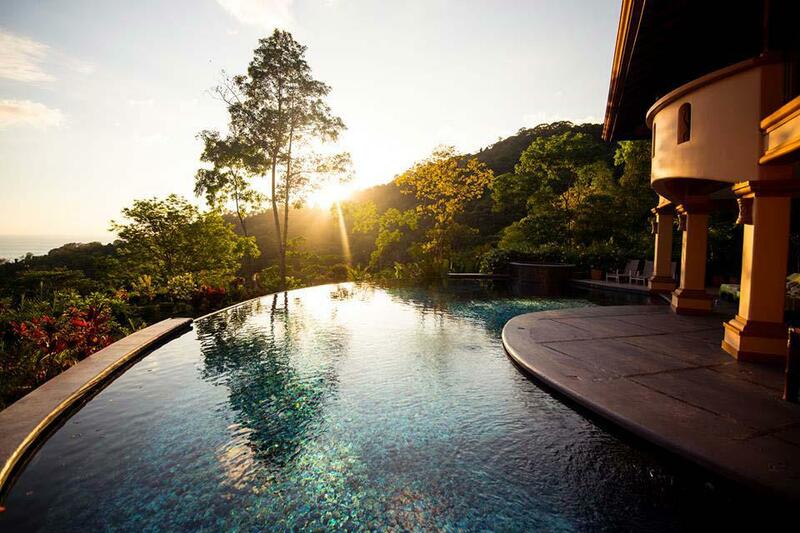 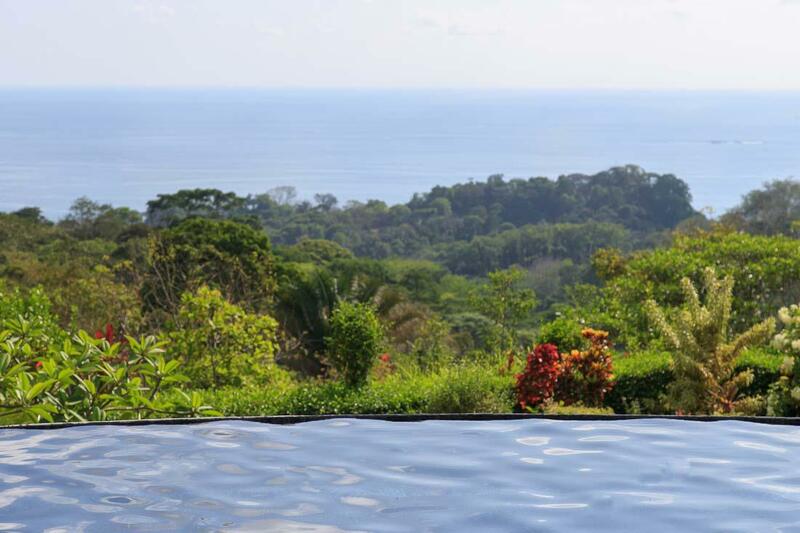 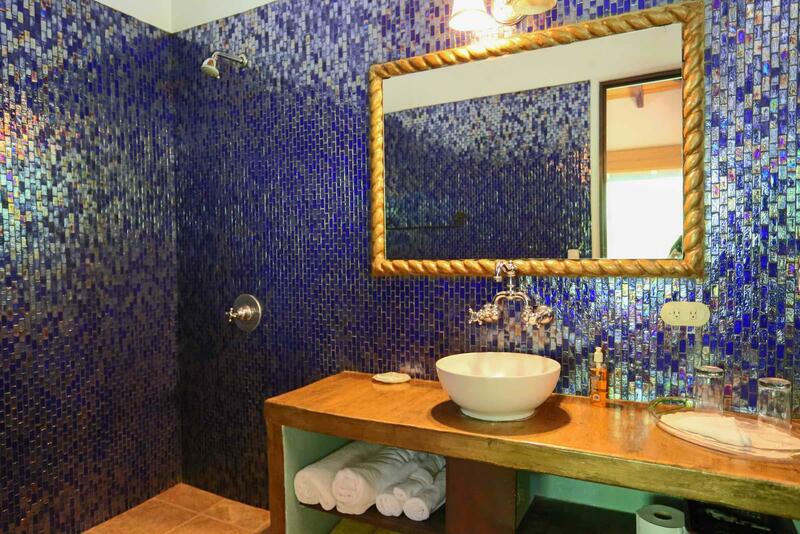 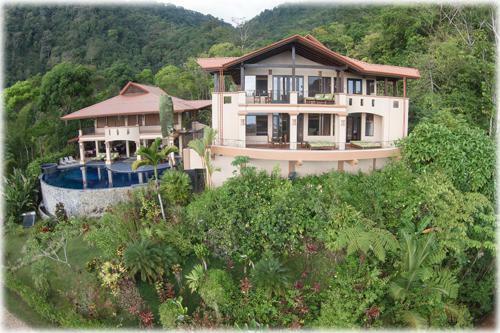 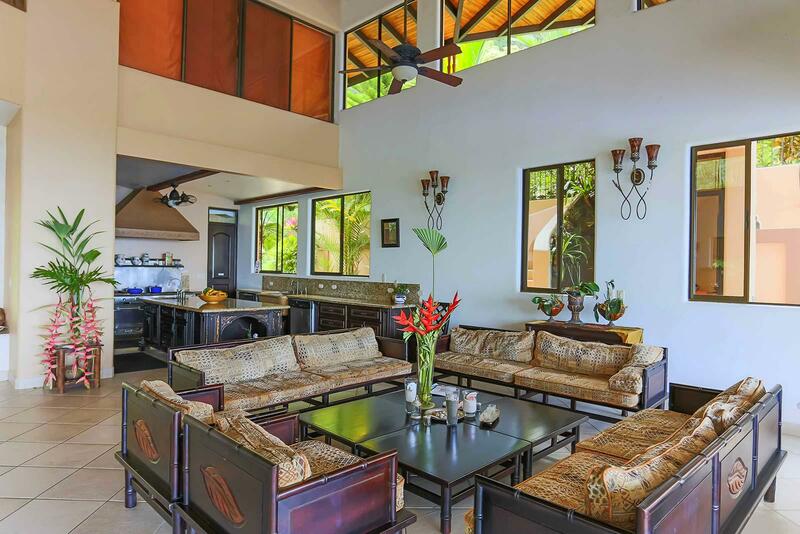 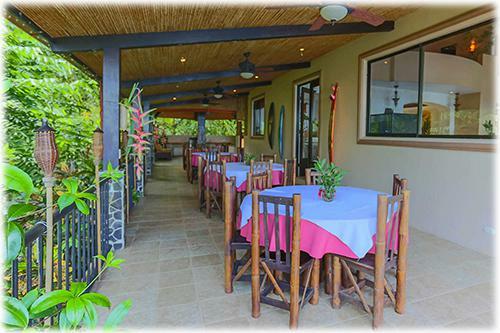 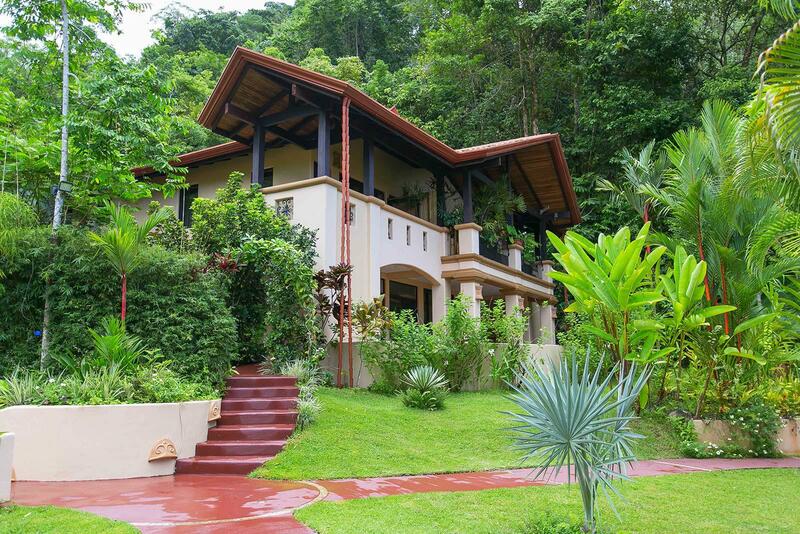 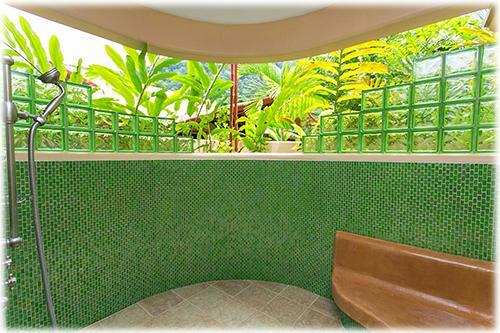 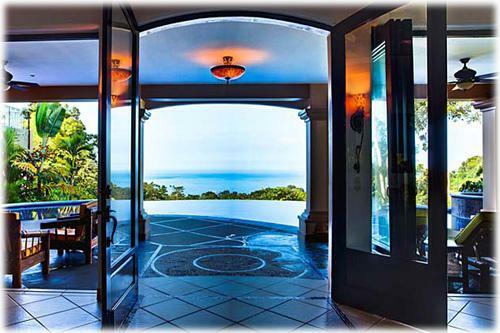 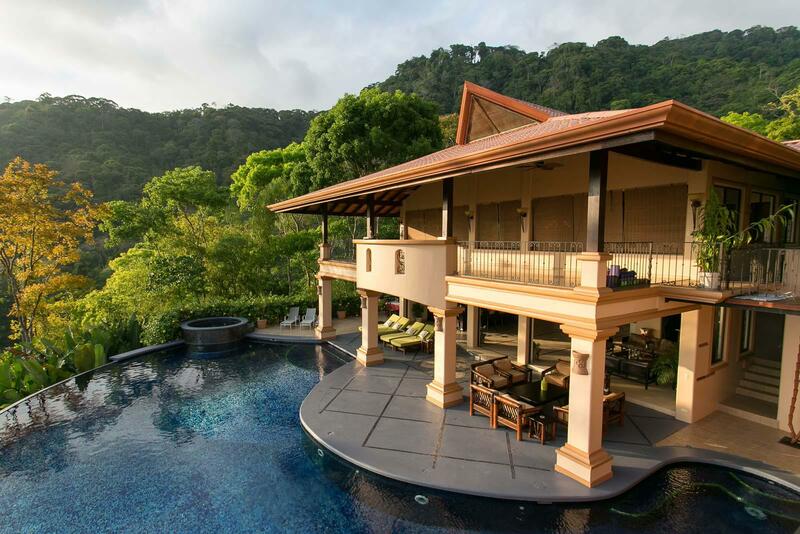 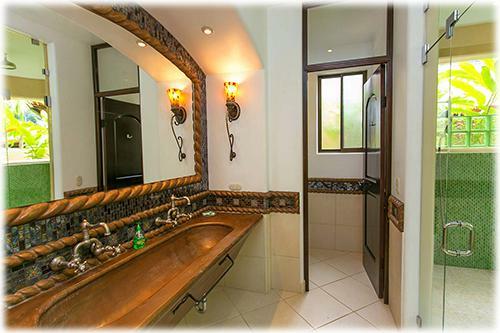 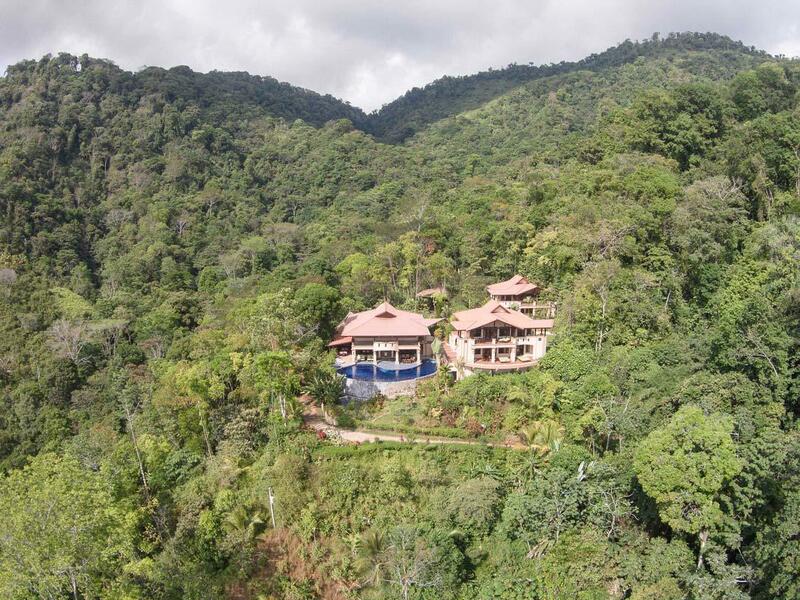 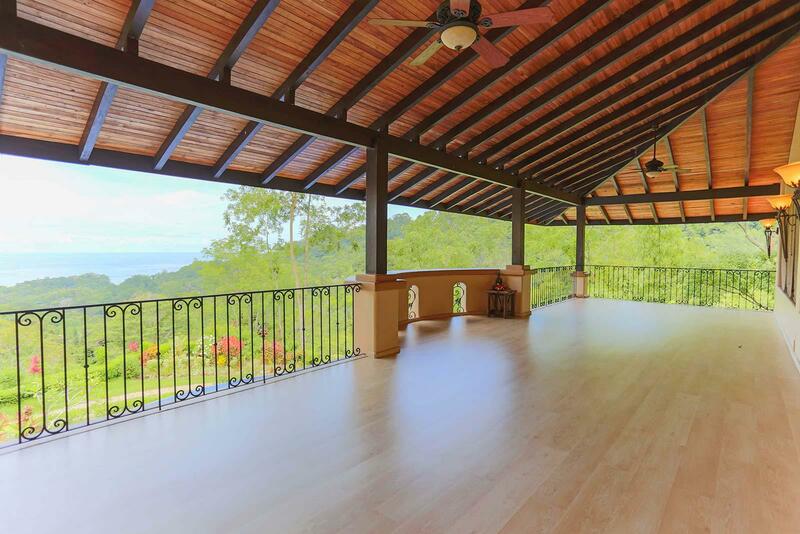 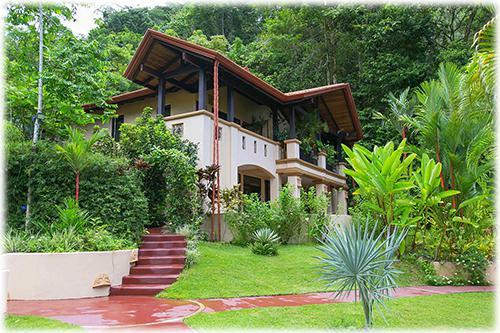 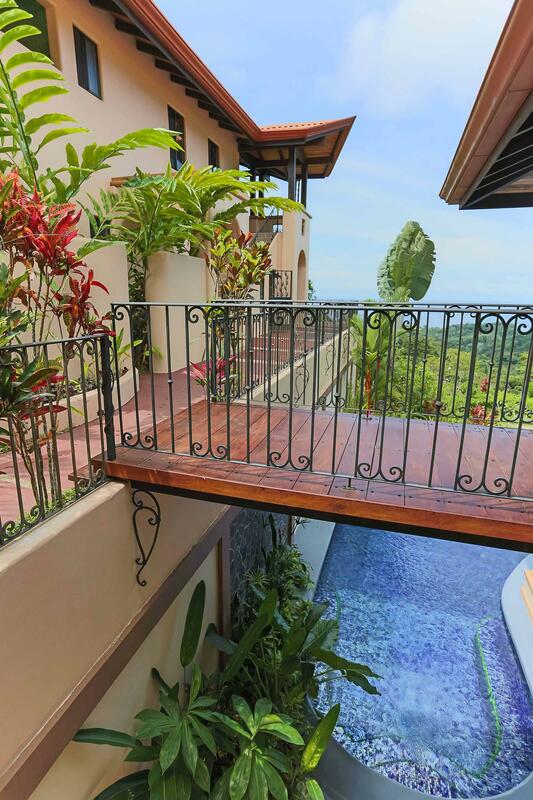 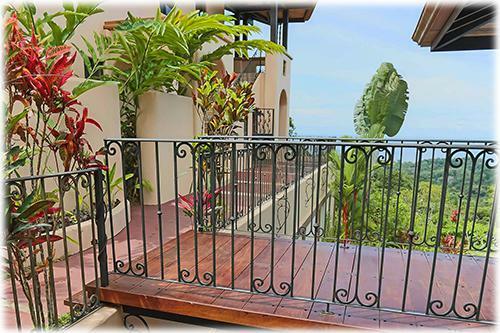 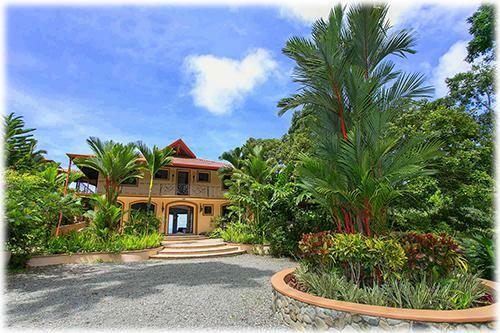 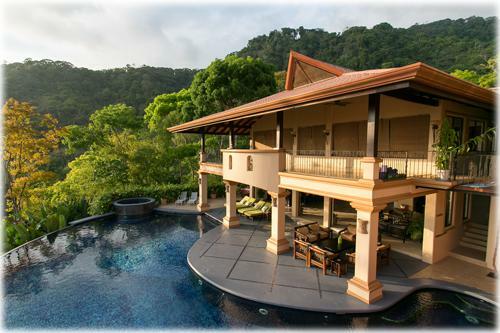 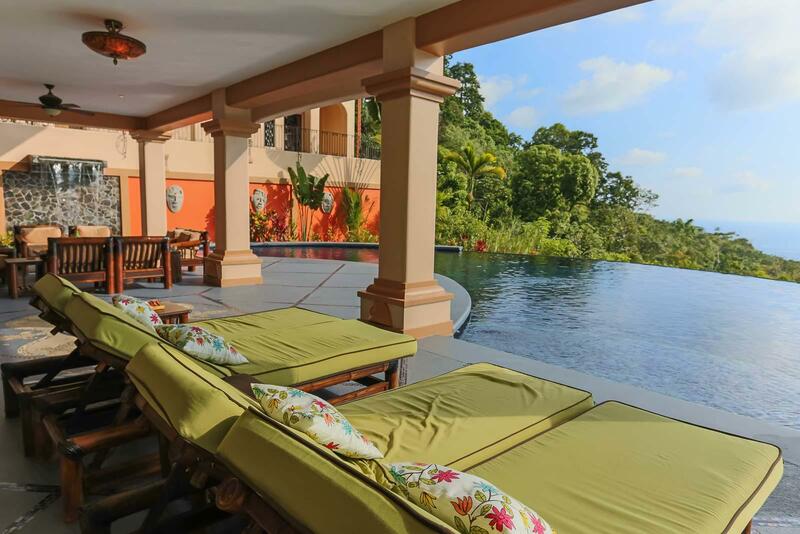 This luxury villa estate was built for the enjoyment of the beauty that is Costa Rica. 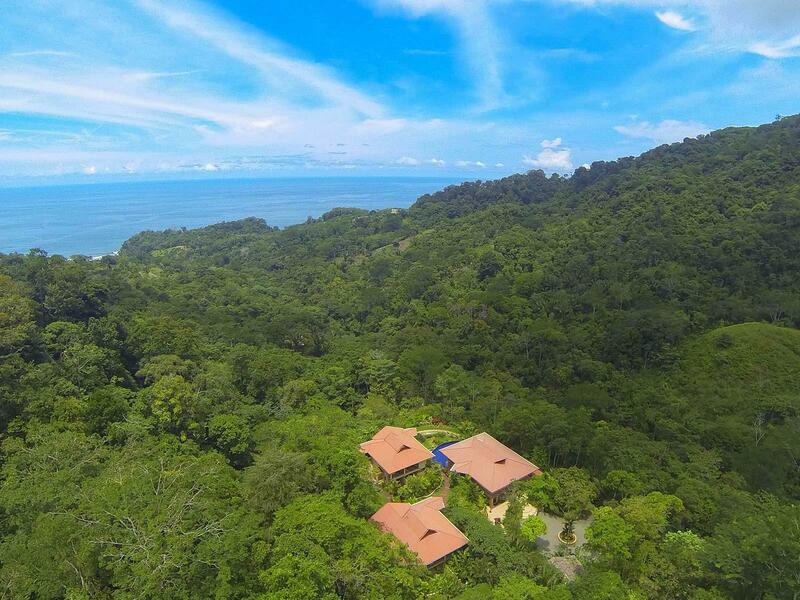 Located along the Costa Ballena, a corridor for wildlife and untouched primary rainforest, the three villas optimize the natural surroundings through their design and function. 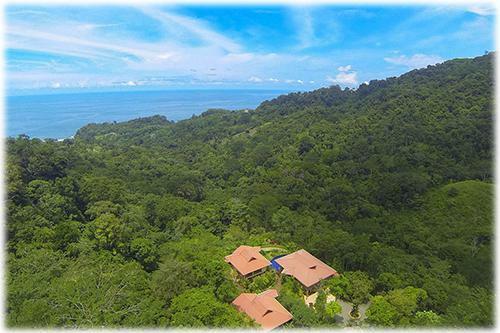 Situated on 36 acres of primary rainforest surrounded by an additional 200 acres of preserve, the privacy this estate provides is unmatched. 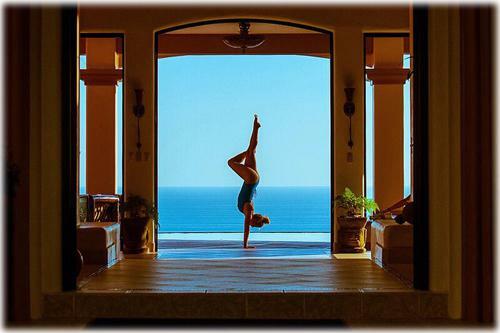 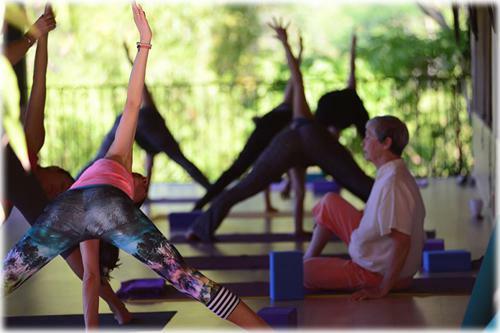 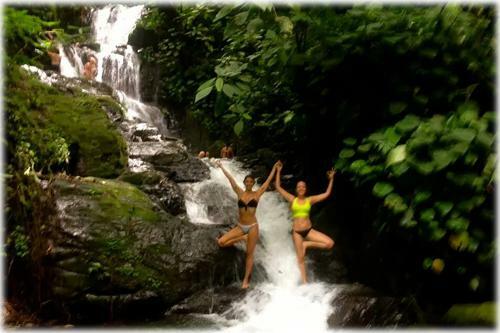 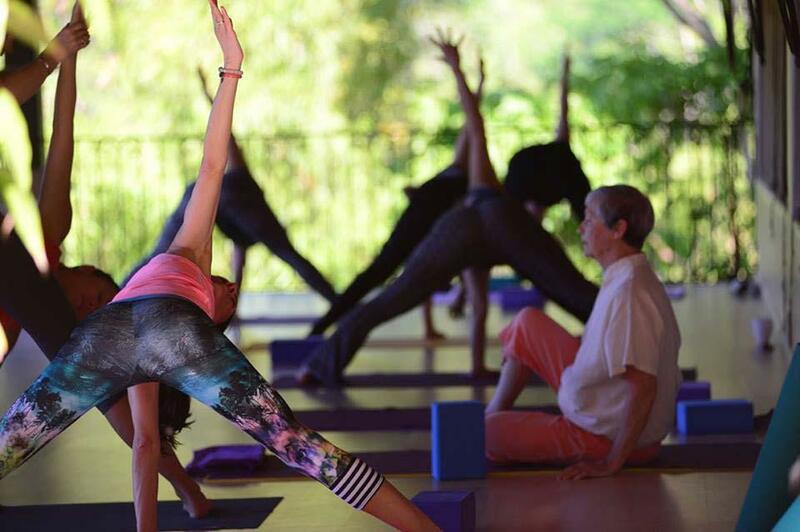 Currently operating as a high end vacation rental, with growing popularity as a yoga and health retreat, as well as catering to family reunions, corporate events and TV production crews. The property has hosted numerous destination weddings and was even featured in Martha Stewart Weddings magazine for the 2013 winter edition. 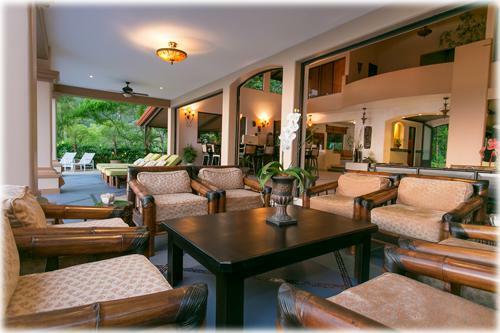 After entering through the gated entrance off the private road, the courtyard welcomes you to the estate. 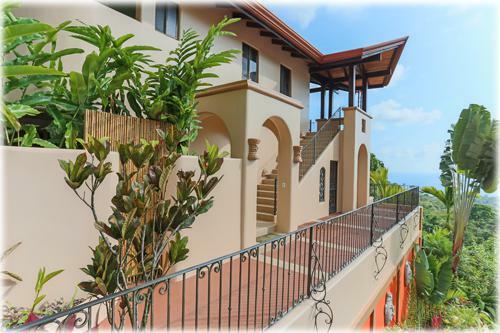 The Main Villa, with its towering entrance doors and custom iron work, is located along the West side of the property and was built for enjoyment of the jungle fringed ocean views. 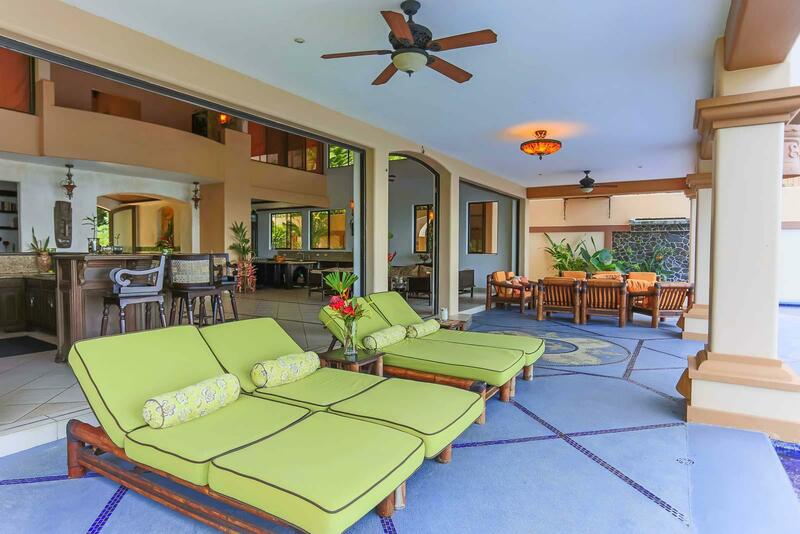 Upon entrance the barrel mosaic entryway ceiling opens up to the 30 ft tall vaulted ceiling of the main living area. The sunken lounge with hand carved wood bar provides a classy area for relaxing any time of the day. 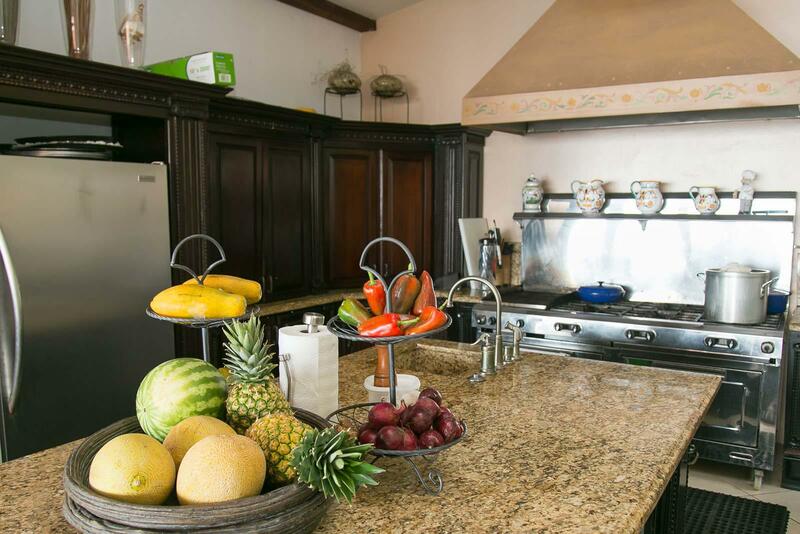 The professional kitchen is equipped with stainless steel appliances, including two dishwashers and ovens, a dehumidified pantry, granite counter tops and custom cabinetry. The Main Villa also contains an open air dining area connected to the rancho with BBQ grill and a reading nook. 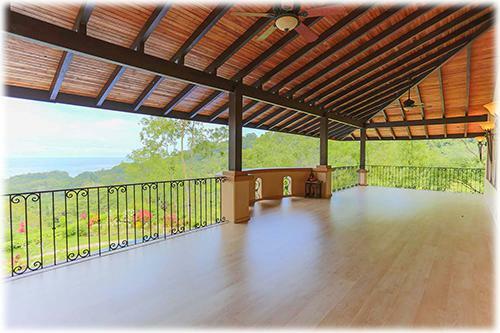 The second floor holds two rooms currently used as the owners quarters and office, as well as a large ocean view covered yoga and lounge deck. 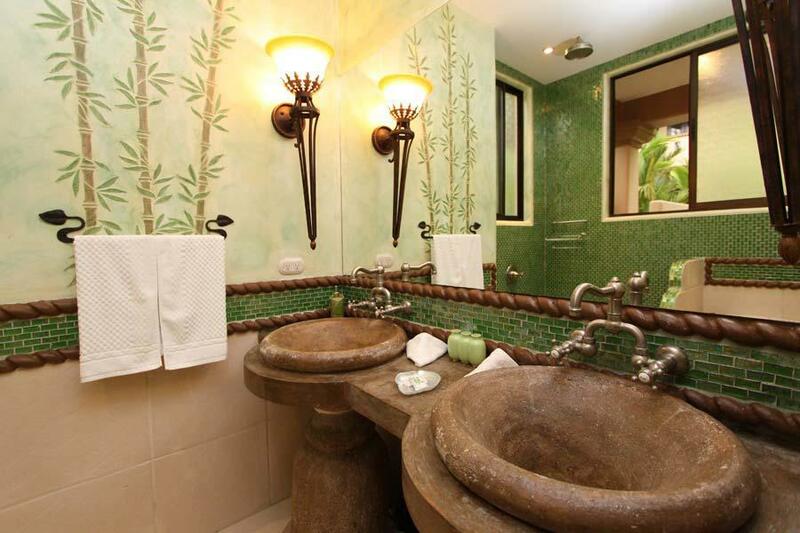 The entire Villa has ornate lighting, including chandelier, which can be adjusted for varying ambiance. The sliding glass patio doors open the Main Villa living area onto the outdoor living space, which, with its mosaic tiled patio, provides an area for elegant leisure. 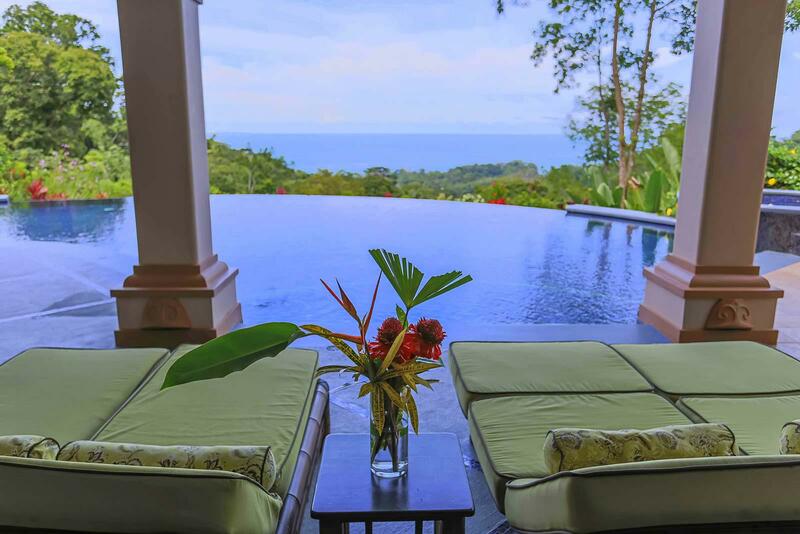 The 1,700 sq ft salt water infinity swimming pool is tiled with iridescent imported blue glass and features shallow beach areas for sunning, waterfall for calming white noise and Jacuzzi. 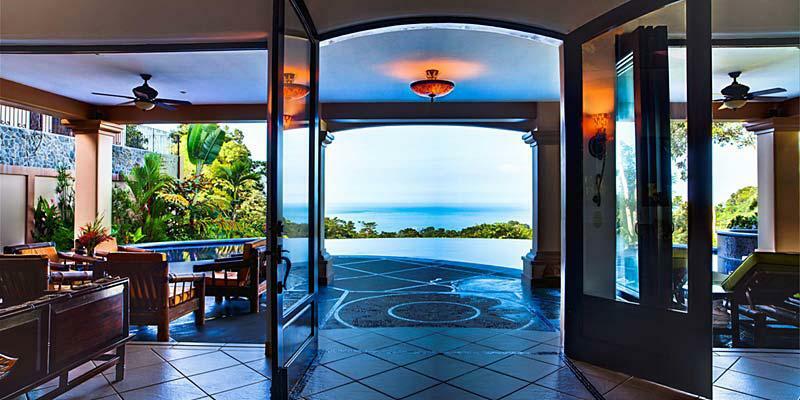 This is where the Pacific Ocean views and rich sunsets take center stage. 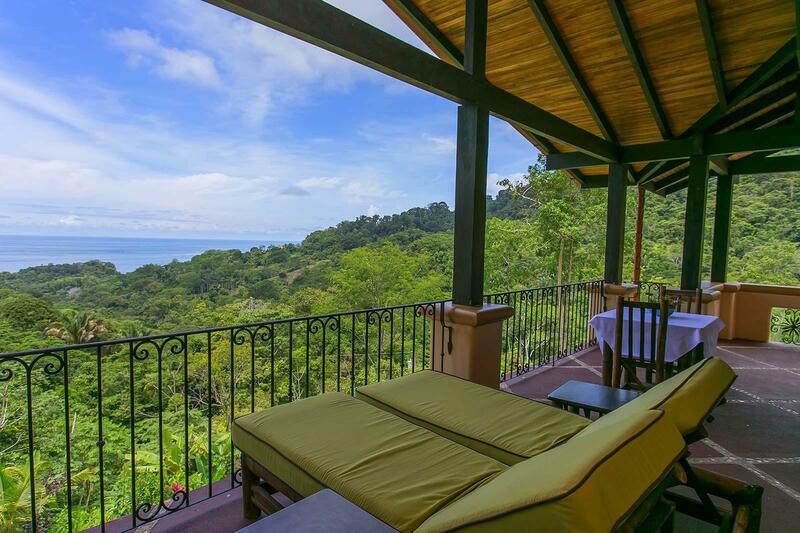 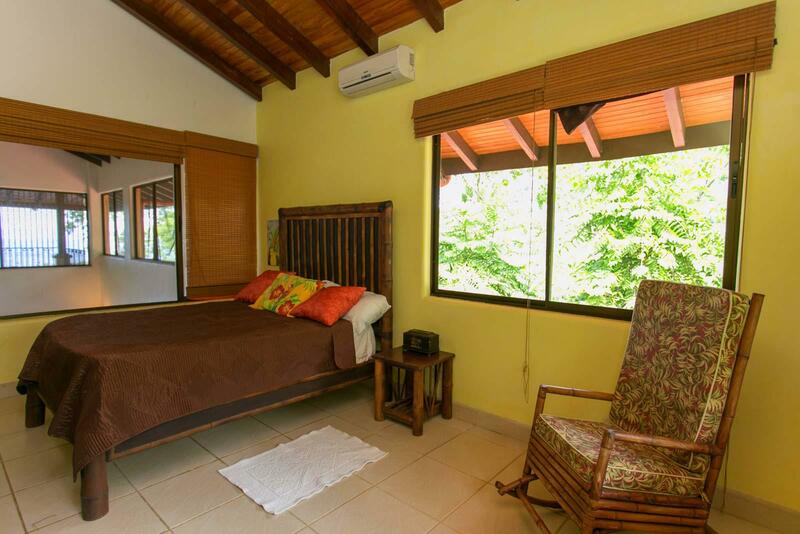 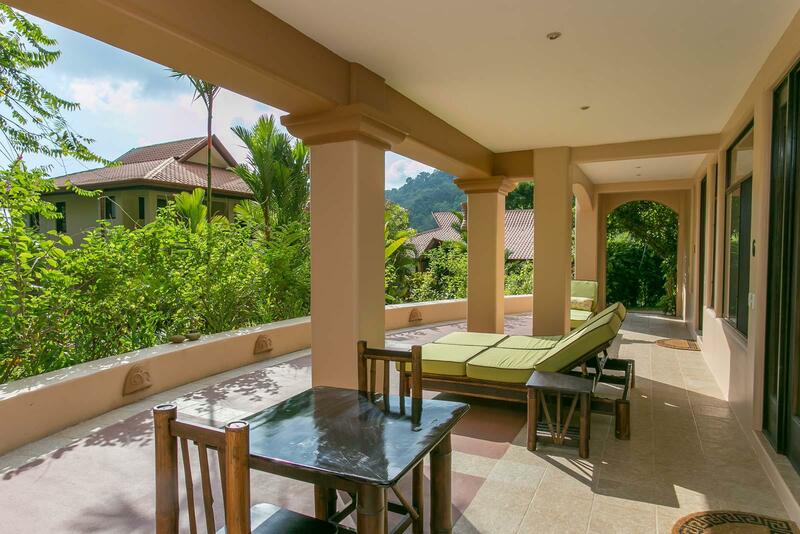 To the South of the Main Villa you will encounter the two Guest Villas, one offers prime Ocean views while the other offers views of the lively primary rainforest and garden. 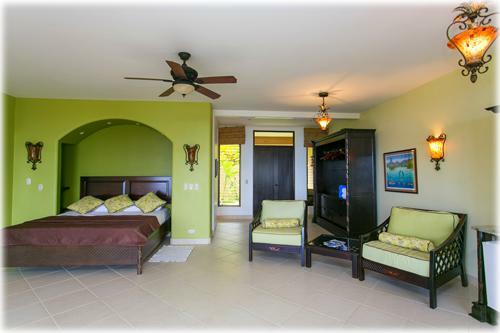 Both hold two 1,400 sq ft master suites with open air showers and two 700 sq ft junior suites. 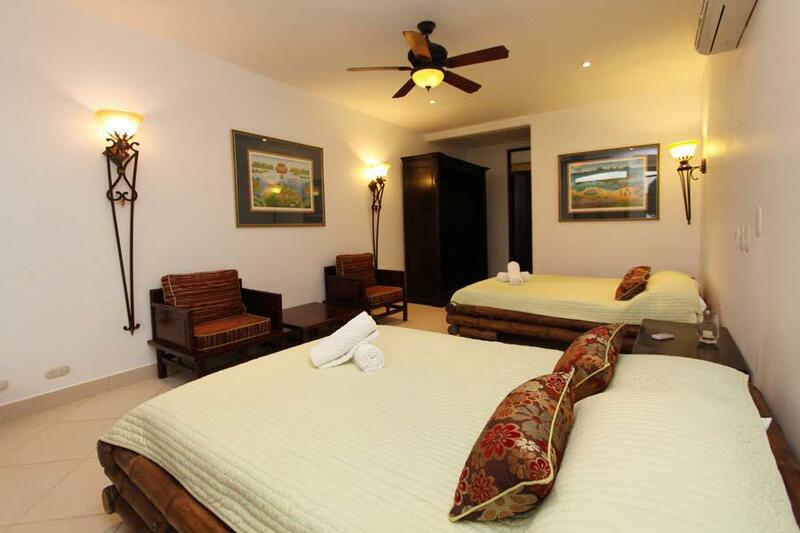 All suites have balconies, air conditioning and ceiling fans, en suite bathrooms and are finished with porcelain tiled floors, glass tiled bathrooms and tropical decor. 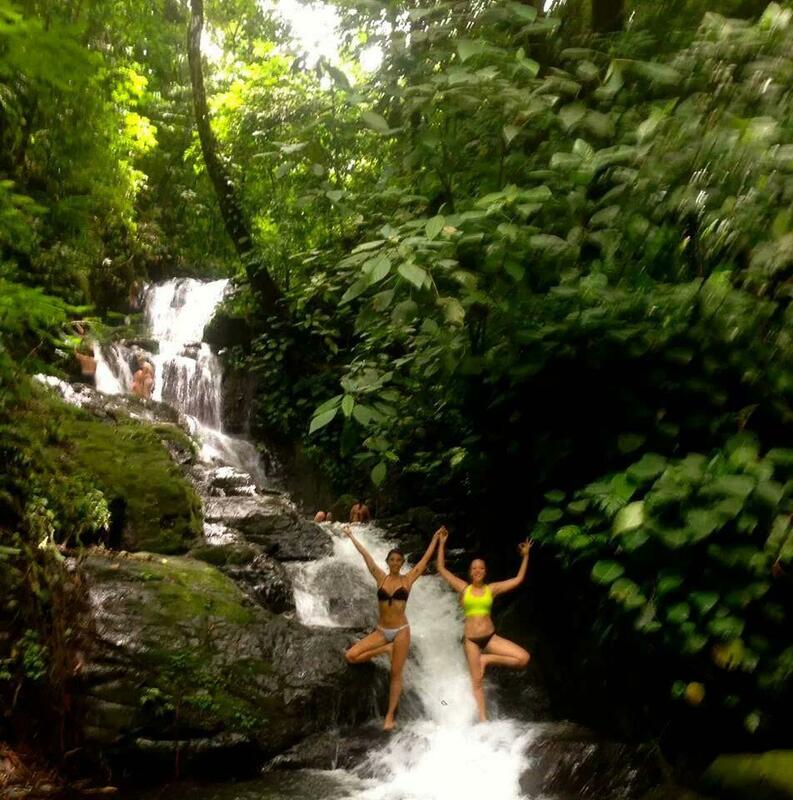 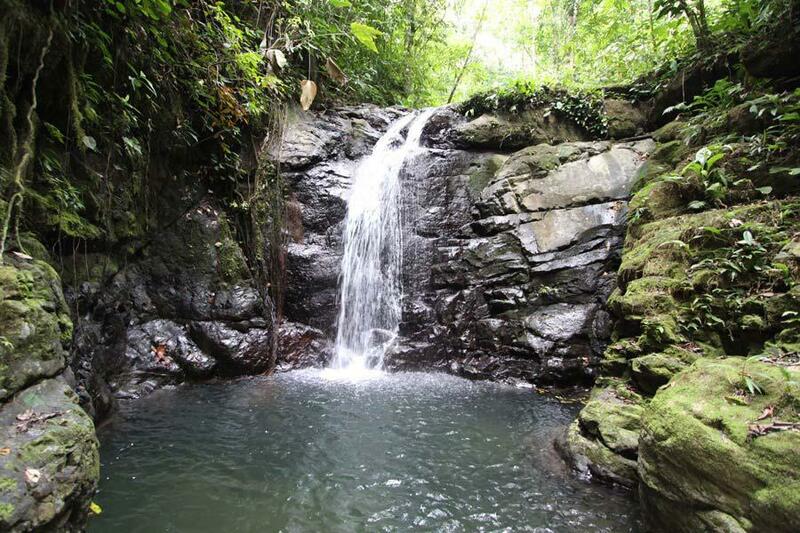 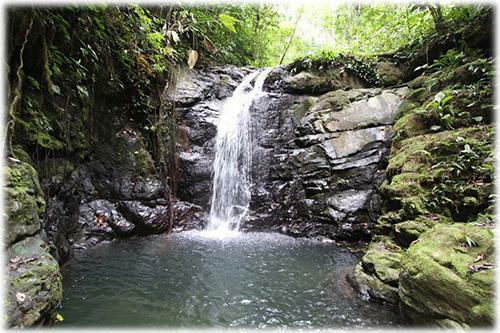 The property surrounding the Villas features 4 miles of private hiking trails and 3 private waterfalls for natural refreshment, including one with a 30 foot drop. 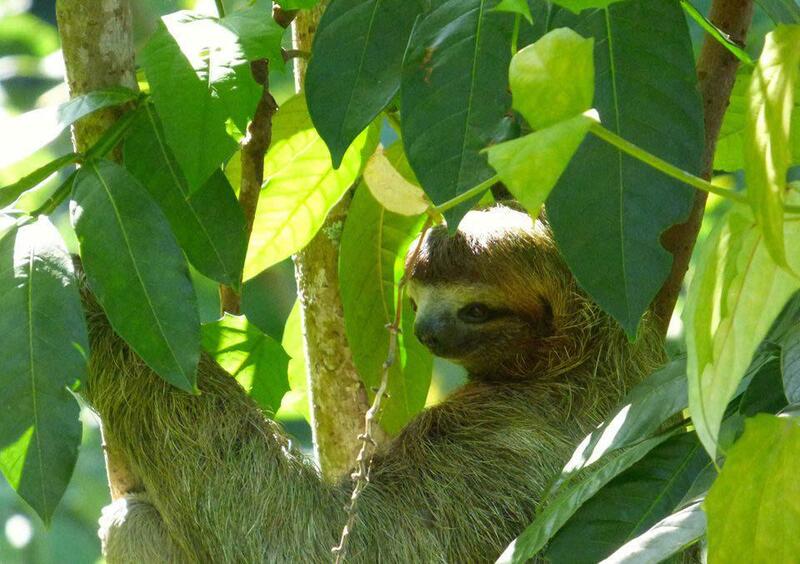 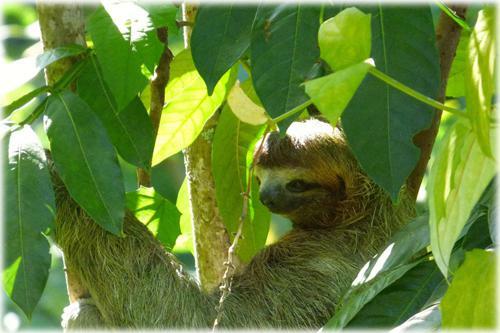 Abundant wildlife can be observed regularly from all areas of the property, including the resident sloth. There is ample land for further expansion, including a large building site for a tennis court or helipad and a number of small building sites which could hold additional villas. 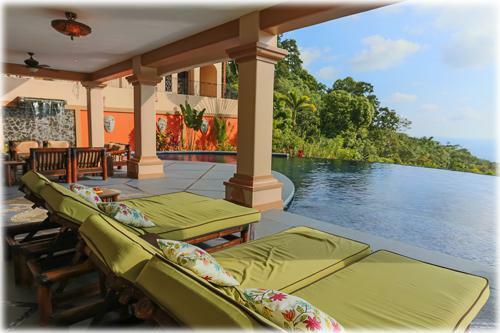 With a successful and steadily increasing rental history over the last 4 years, these villas has hosted celebrities, large yoga retreats, intimate wedding ceremonies, relaxing corporate eco-retreats and 3 different TV shows. 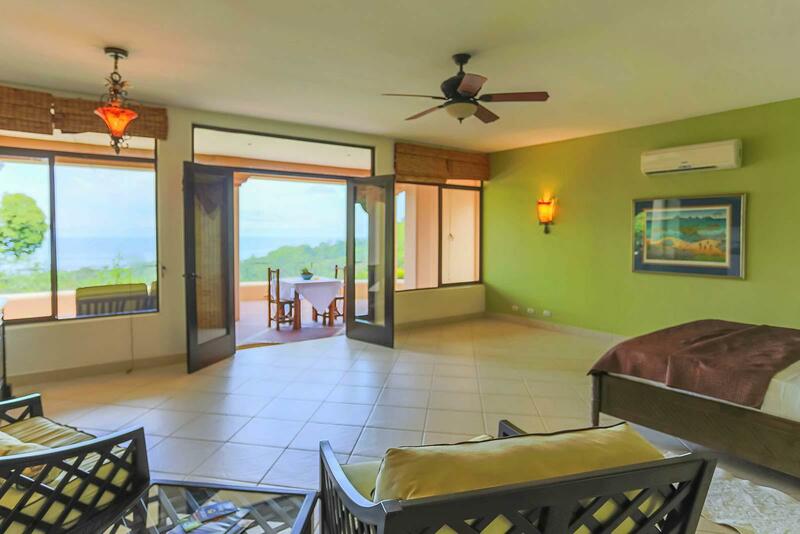 Whether this Estate continues to be used for income purposes or is made into a personal retreat, the superb Ocean and sunset views, the privacy that is superior to any other and the functional design make this property a superlative choice.